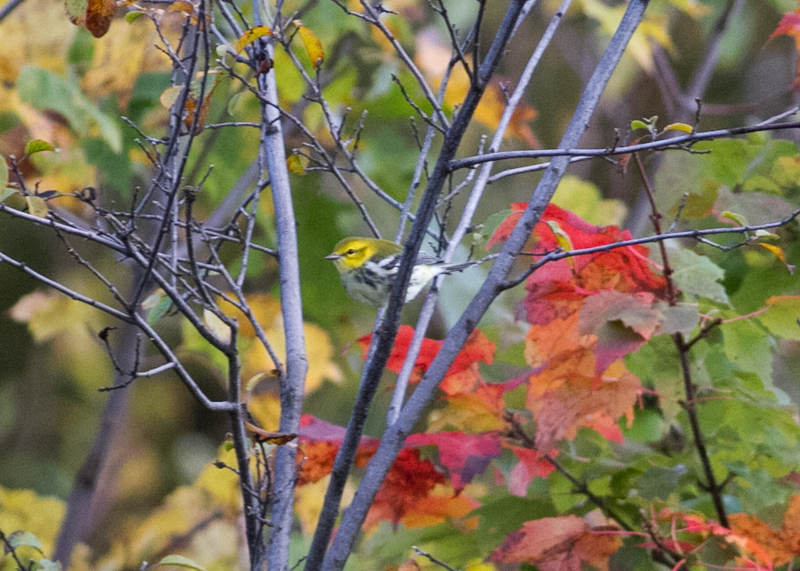 White-eyed Vireo - Turner's Falls, Franklin Co., MA. October 27th, 2017. Last weekend's Cattle Egrets in Gill perhaps indicated that more species with a southern distribution could be lurking out there waiting to be discovered. Remarkably, we would later find out via Facebook and ebird, that Rick Hart had discovered a juvenile White Ibis at the Oxbow in Northampton (Hampshire County) on the same day that the Cattle Egrets had arrived in Gill - October 22nd. White Ibis is a review species and an exceptionally rare bird in interior Massachusetts with perhaps less that 25 records for the entire state. 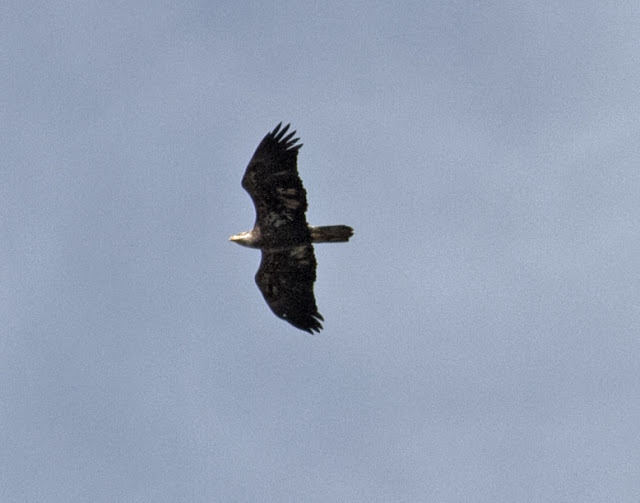 Fortunately it was well photographed. 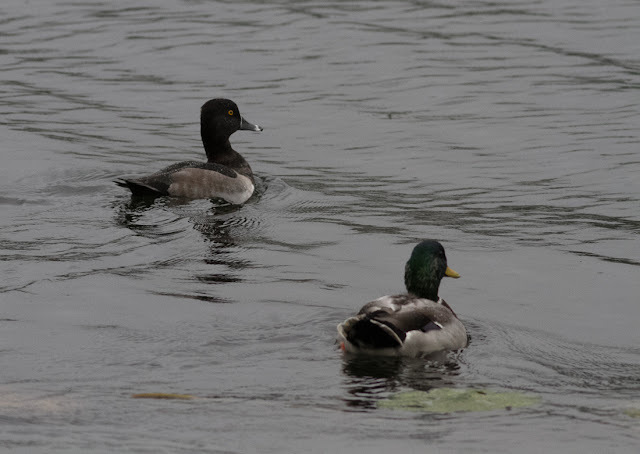 Balmy, soggy southerlies and high temperatures persisted until the 26th when a cold front brought heavy rain, northern winds and a light smattering of waterbirds to the Turner's Falls area including six White-winged Scoters, a Bonaparte's Gull and a nice raft of six Red-necked Grebes. The following day saw two Surf Scoters and the first Buffleheads of the fall, while the 28th brought two Black Scoters to Barton Cove. White-winged Scoter - male, Turner's Falls, Franklin Co., MA. October 26th, 2017. Bonaparte's Gull - first-winter, Turner's Falls, Franklin Co., MA. October 26th, 2017. Red-necked Grebes - non-breeding, Turner's Falls, Franklin Co., MA. October 26th, 2017. As thrilling as these waterbirds are in Turner's Falls, it's fair to say that they should be expected in late October under the right conditions. Far less expected was an immaculate White-eyed Vireo found in a riverside thicket. My time constraints and the bird's ultra-skulking behavior meant that it would have to be recorded as a 'heard only' on the day of its discovery. 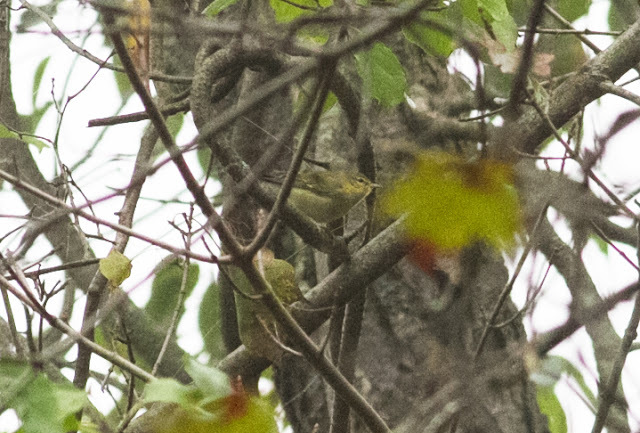 It was frustrating in the extreme to have a singing White-eyed vireo just feet away and not be able to see it! 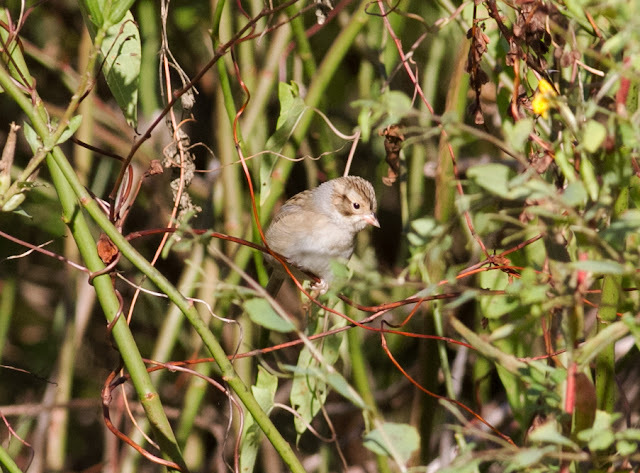 It was still present the following day but far less vocal in the cold and rain, but finally on the 27th it gave itself up and offered reasonable views in bright sunshine. 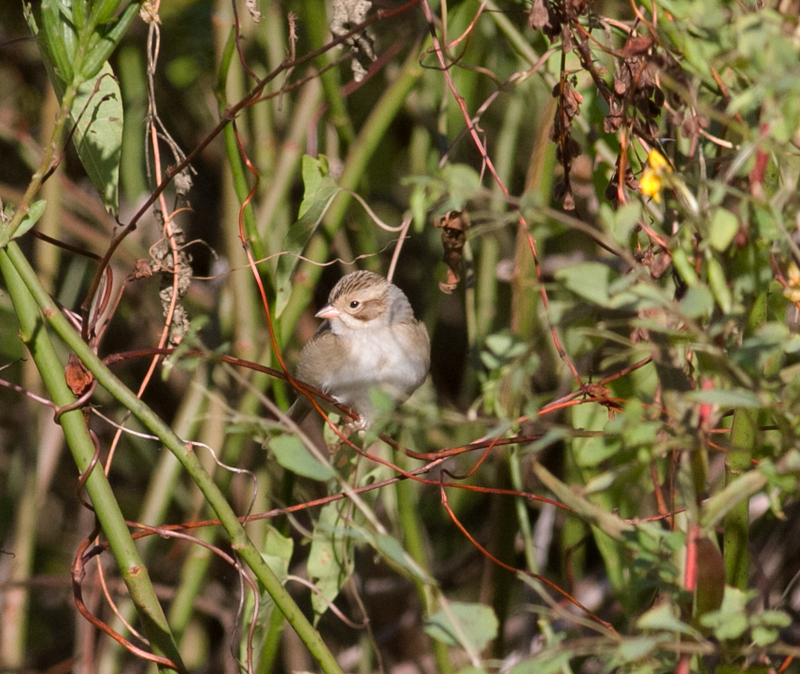 I would have to admit that from a personal perspective this was the single most elusive and skulking species that I've encountered in our area for years. 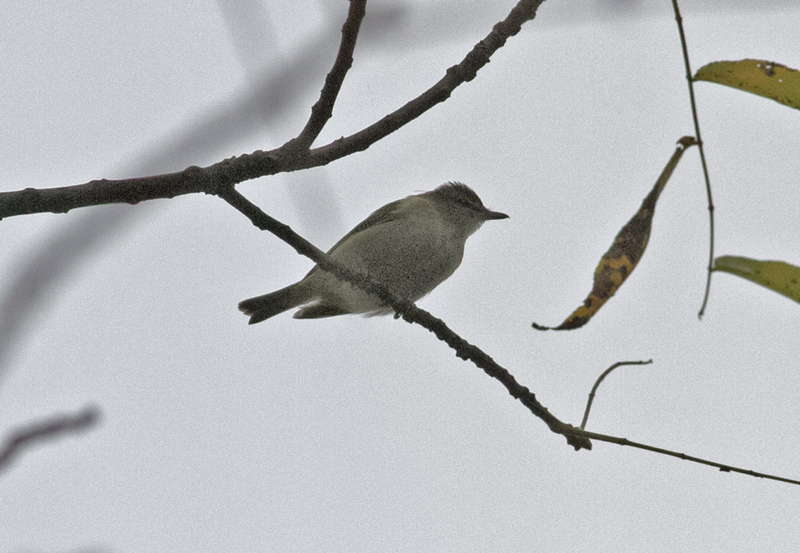 White-eyed Vireo - Turner's Falls, Franklin Co., MA. October 27th, 2017. ebird does not appear to show any records of this species in Franklin County. In fact, I only know of one other report, a credible sight record from Eric Huston in Northfield Meadows on Nov 2nd, 2013. The Cattle Egrets continued to be seen in the Gill meadows throughout the week but their numbers dwindled almost daily until only one bird remained on the 28th. 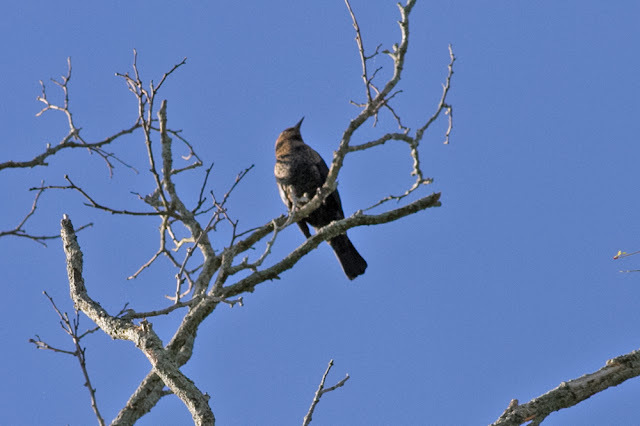 The same area (Boyle Road) produced some nice incidental sightings with two Rusty Blackbirds on the 27th, and a calling Great Horned Owl and two American Woodcocks on the 28th. Cattle Egret - Boyle Road, Gill, Franklin Co., MA. October 28th, 2017. Cattle Egret (one of five) - Boyle Road, Gill, Franklin Co., MA. October 23rd, 2017. Update October 28th: a single Cattle Egret present all day on Boyle Road with just two cows. October 27th: three Cattle Egrets still in Gill, this time off Main Road at Upinngil Farm. October 26th: three Cattle Egrets remain in the meadow on Boyle Road but have also been seen with the cows behind Upinngil Farm on Main Road, Gill. 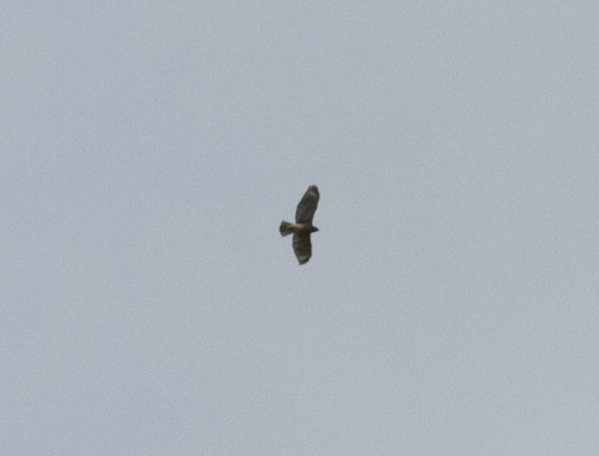 This evening they departed NW at 17:50 hours, presumably heading off to roost. Cattle Egrets - Boyle Road, Gill, Franklin Co., MA. October 23rd, 2017. Update Oct 23rd; It was good to see that all five Cattle Egrets had returned to the favored meadow on Boyle Road, Gill this morning and a quick drive-by found them still present at 11:30 am. 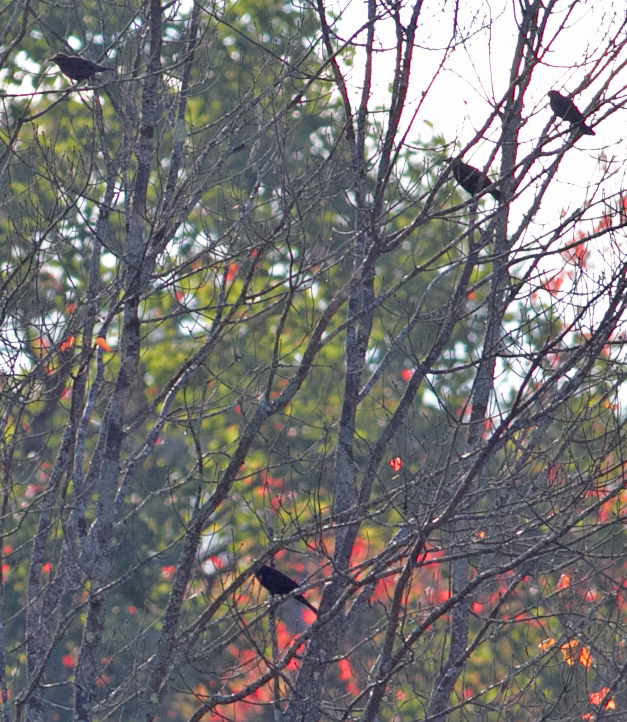 The birds certainly look settled and I imagine will stick around for the remainder of this gloomy, drizzly day. 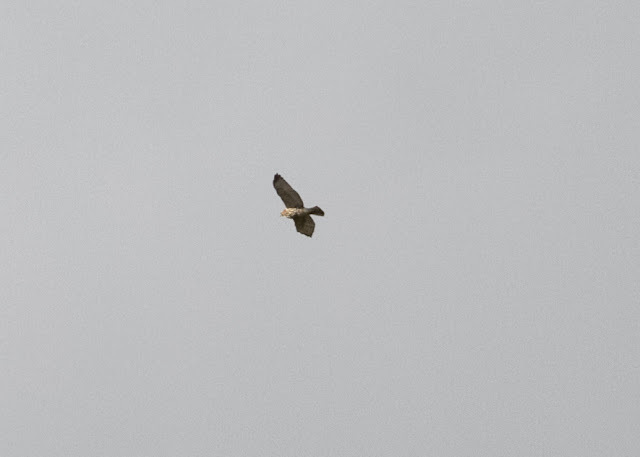 A quick stop at Turner's Falls airfield was also productive with two male Northern Harriers, 10 Horned Larks and a Purple Finch. Cattle Egrets (three of five) - Boyle Road, Gill, Franklin Co., MA. October 23rd, 2017. Cattle Egret - Boyle Road, Gill, Franklin Co., MA. October 23rd, 2017. Northern Harrier - adult male, Turner's Falls, Franklin Co., MA. October 23rd, 2017. Cattle Egrets - Boyle Road, Gill, Franklin Co., MA. October 22nd, 2017. October 22nd: For the third time within the last three years, Upinngil Farm's dairy cows have attracted Cattle Egrets. This afternoon Thom Bullock reported a flock of five in a meadow off Boyle Road. 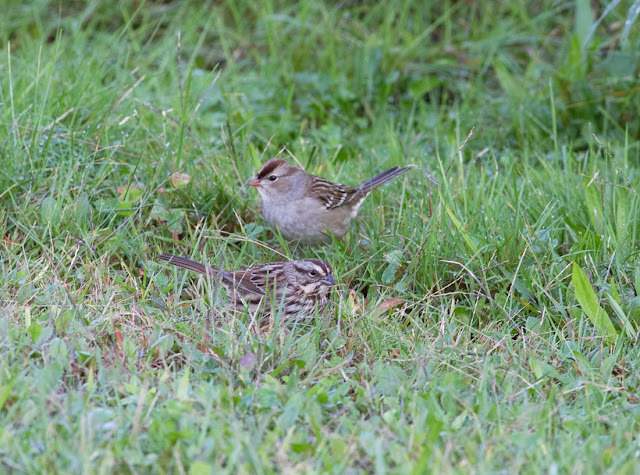 The birds remained in the same field foraging around a handful cows until dusk when Eric Huston noted them departing to the north at 17:53 hours. Back in 2014, I saw a Cattle Egret departing south from Upinngil Farm on November 12th and asked the farmers to keep an eye open for any small white 'herons' feeding around the cows. In late May 2017 I got a third hand report of a small egret with the Upinngil cows, apparently seen for just one day. And now we have five together on a beautiful, balmy October afternoon. 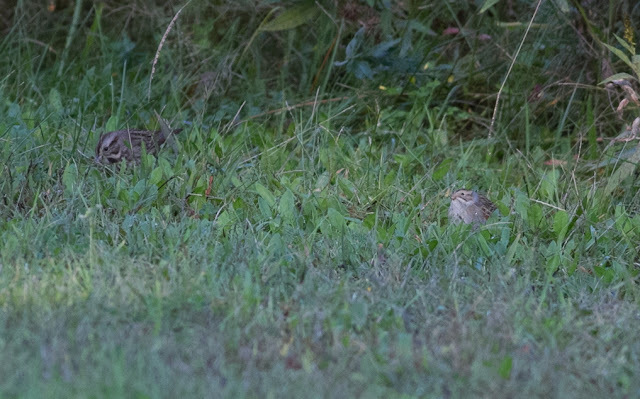 Thanks to Thom's prompt reporting quite a few local birders managed to see them before they departed north at dusk. Clay-colored Sparrow - Turner's Falls, Franklin Co., MA. October 12th, 2017. Finally a shift to cooler more autumn-like conditions bringing a crisp start to the day and some fresh arrivals. My early morning jog around Gill Elementary school produced a calling Swainson's Thrush in the predawn while the playing fields were evidently full of roosting Savannah Sparrows. A Greater Yellowlegs flying around calling at about 06:30 was far less usual, and slightly puzzling with no obvious wetlands close by. 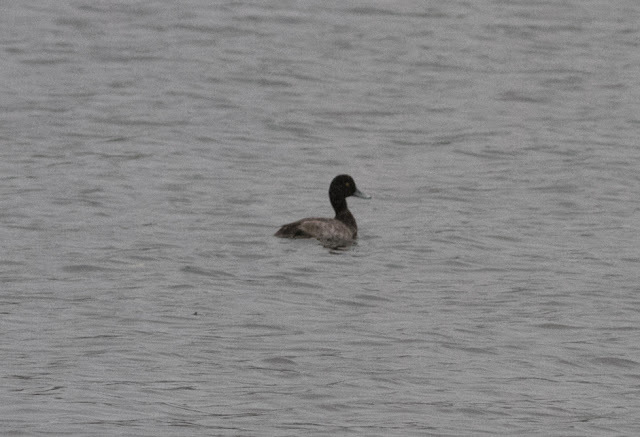 After making a quick stop at Turner's Falls airfield in mid-morning, I dropped down to the Rod and Gun Club finding three Green-winged Teal with the Canada Geese and a Greater Scaup out in the open channel. 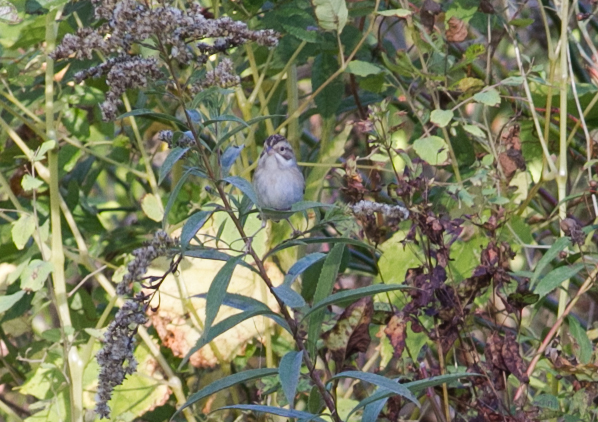 A fairly late Osprey was fishing on the Gill side of the river but it wasn't long before several foraging sparrows caught my attention including one small, pallid sandy-gray individual - a Clay-colored Sparrow! Over the years I've had some luck with Clay-colored Sparrows in the Pioneer Valley but all of them have been in the Hadley floodplain in Hampshire County, including two on Christmas bird counts with Scott Surner. As far as I can remember, this is the first that I've actually seen in Franklin County and certainly my first at Turner's Falls. 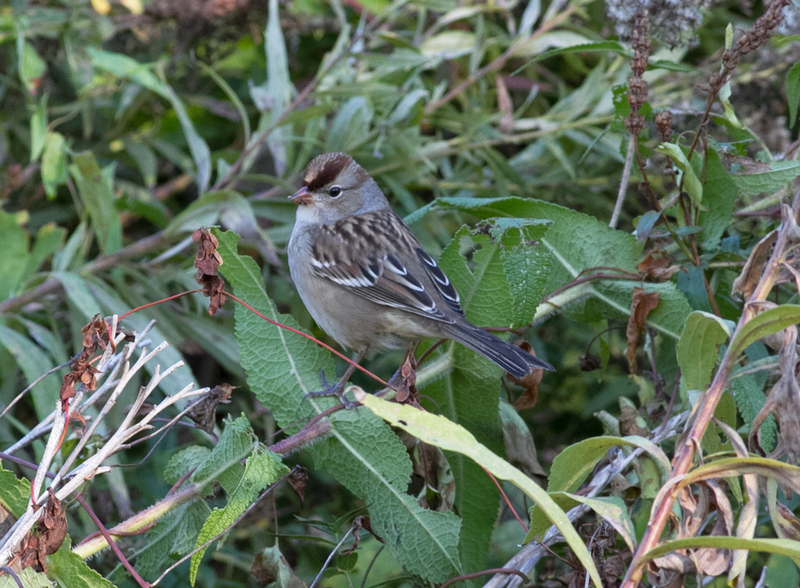 This particularly bird seemed content following the five or so juvenile White-crowned Sparrows present along with several Song and Swamp Sparrows. White-crowned Sparrows (first-winter) with Song Sparrow - Turner's Falls, Franklin Co., MA. October 12th, 2017. Columbus Day was warm, soggy and very humid thanks to the remnants of Tropical Storm Nate passing through our region. Initially, the conditions looked promising but yielded little in the way of unexpected waterbirds around Turner's Falls, though a raft of 22 Common Mergansers was nice to see on the power canal, and Greater Scaup, Ring-necked Duck and American Wigeon were all found loafing with the Mallards at Unity Park on Monday evening (Oct 9th). American Wigeon - female, Unity Park, Turner's Falls, Franklin Co., MA. October 9th, 2017. Greater Scaup - non-breeding male, Unity Park, Turner's Falls, Franklin Co., MA. October 9th, 2017. Ring-necked Duck - male, Unity Park, Turner's Falls, Franklin Co., MA. October 9th, 2017. October 10th saw a clearance, and with light to moderate North-westerlies in the forecast I headed up to Putney Mountain in southern Vermont. 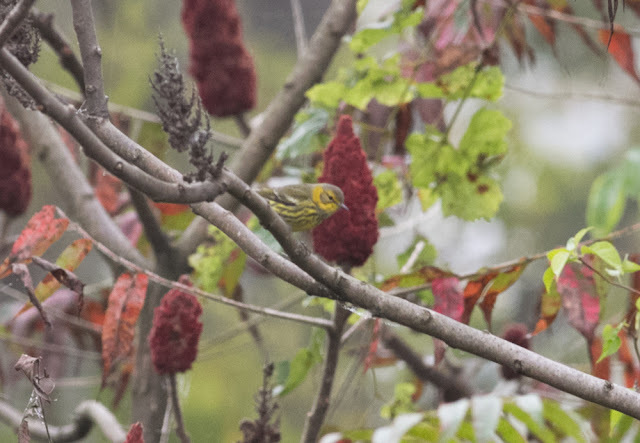 I arrived early to enjoy the passerines finding Black-throated Green and Blackpoll Warblers, Winter Wren (2), Rusty Blackbird (2) and Evening Grosbeak (2) before the raptors started in earnest just after 8am. 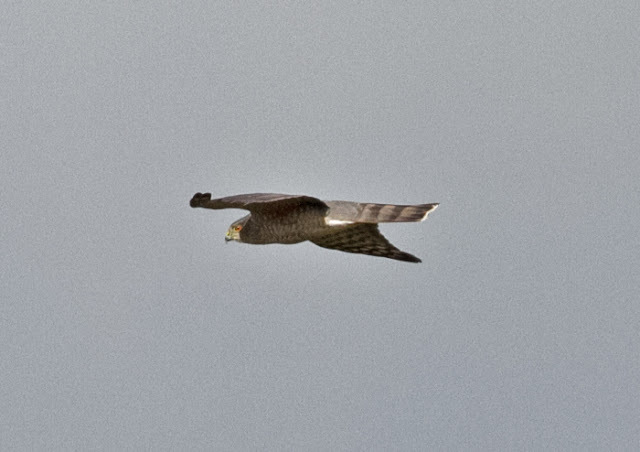 From then on we pretty much had small numbers of raptors constantly on view from the hawkwatch site until I left at around 11:45 hours. The vast majority were Sharp-shinned Hawks (118) as birds 'peppered' the sky all morning, but there was also a nice variety of other species including Red-shouldered Hawks (3), Bald Eagle (2), Northern Harrier (1), Cooper's Hawk (4), American Kestrel (9), Merlin (5), and even a late Broad-winged Hawk. Of course, these numbers relate only to my personal tally for the morning. 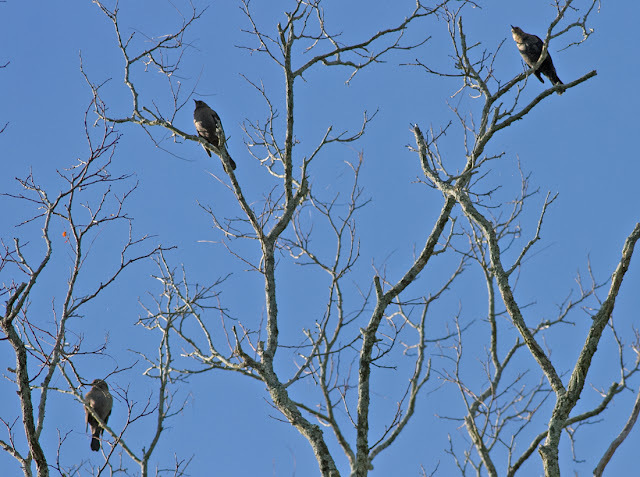 JoAnne Russo and the dedicated hawkwatchers at the site went onto record 241 Sharp-shinned Hawks for the day and have recorded well over 13,000 migrant raptors for the season thus far! A hugely enjoyable morning, and certainly the best migration of Sharp-shinned Hawks that I've seen in our area. 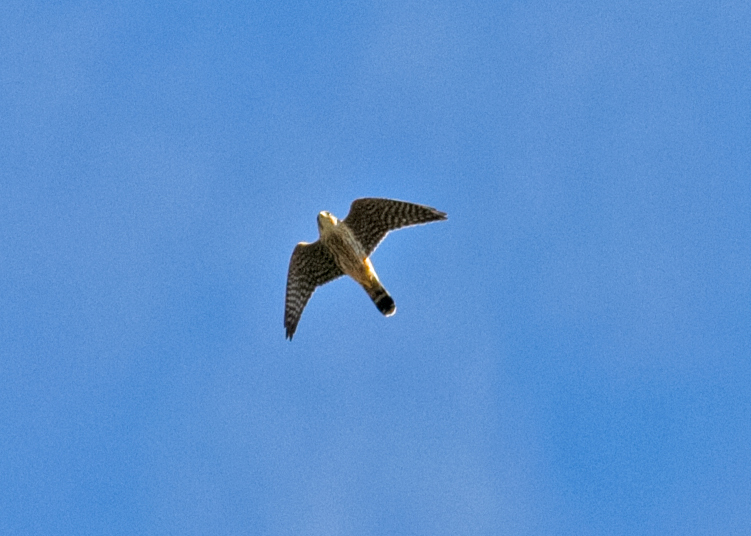 American Kestrel - Putney Mountain Hawkwatch, Windham Co., VT. October 10th, 2017. Bald Eagle - Putney Mountain Hawkwatch, Windham Co., VT. October 10th, 2017. 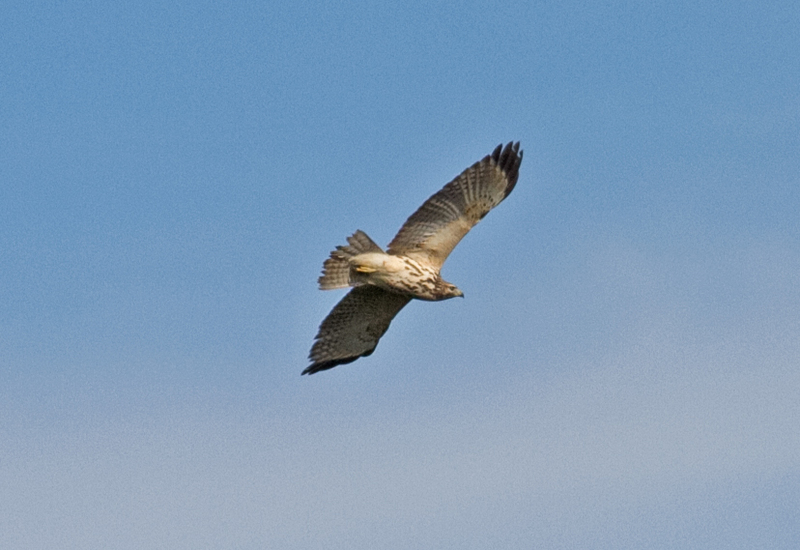 Broad-winged Hawk (juvenile) - Putney Mountain Hawkwatch, Windham Co., VT. October 10th, 2017. 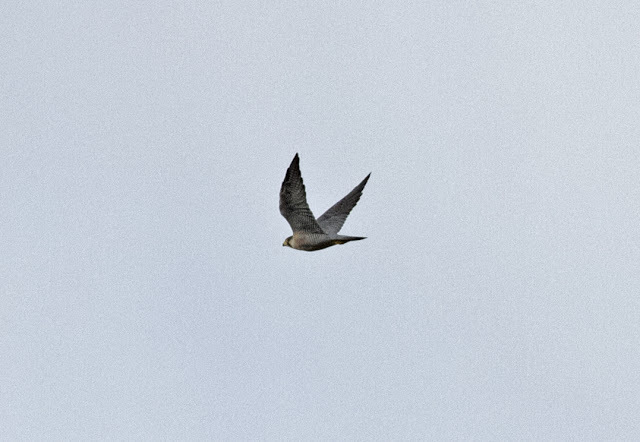 Merlin (juvenile) - Putney Mountain Hawkwatch, Windham Co., VT. October 10th, 2017. 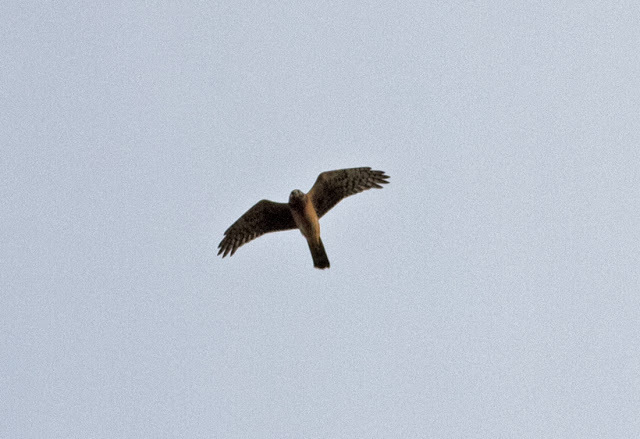 Northern Harrier (juvenile) - Putney Mountain Hawkwatch, Windham Co., VT. October 10th, 2017. 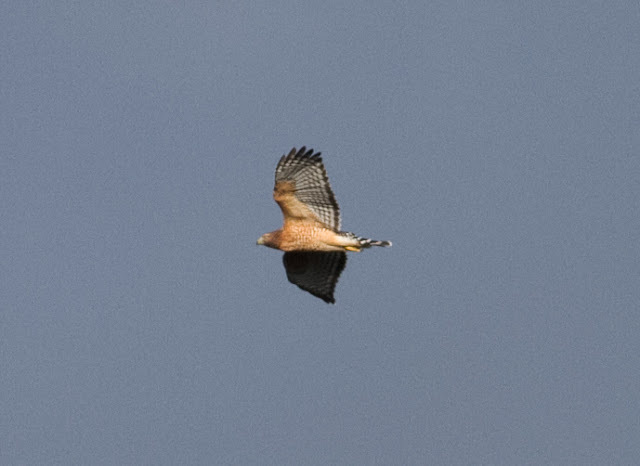 Red-shouldered Hawk (adult) - Putney Mountain Hawkwatch, Windham Co., VT. October 10th, 2017. Red-shouldered Hawk (juvenile/imm) - Putney Mountain Hawkwatch, Windham Co., VT. October 10th, 2017. Red-shouldered Hawk (juvenile) - Putney Mountain Hawkwatch, Windham Co., VT. October 10th, 2017. 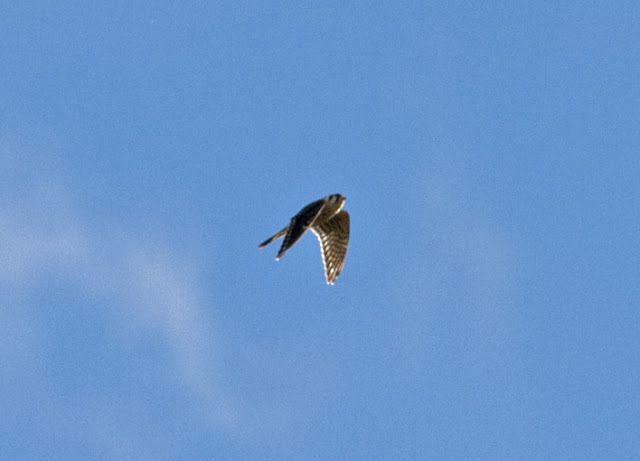 Sharp-shinned Hawk (male) - Putney Mountain Hawkwatch, Windham Co., VT. October 10th, 2017. 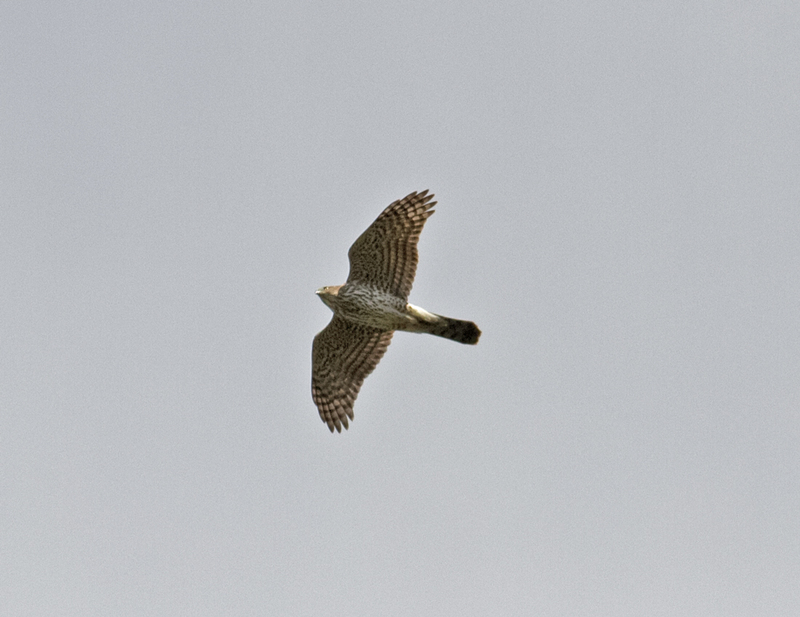 Sharp-shinned/Cooper's Hawk (juvenile) - Putney Mountain Hawkwatch, Windham Co., VT. October 10th, 2017. 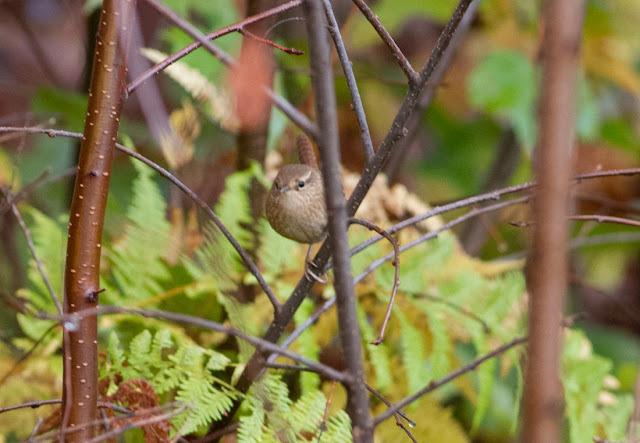 Winter Wren - Putney Mountain Hawkwatch, Windham Co., VT. October 10th, 2017. 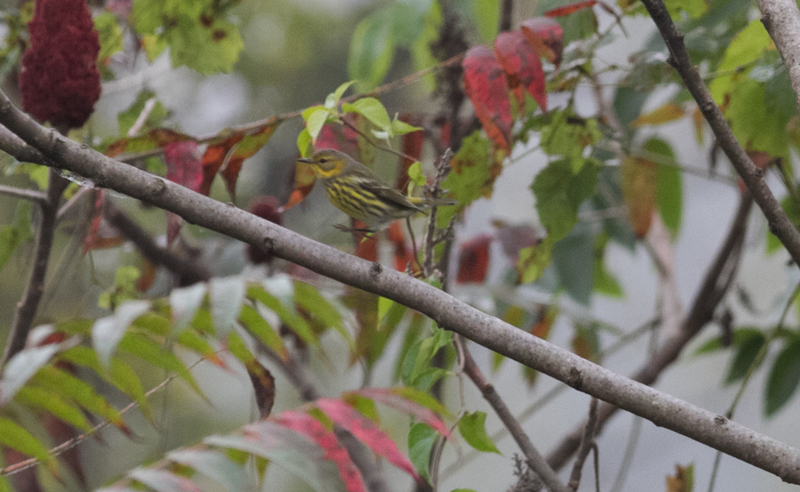 Black-throated Green Warbler - Putney Mountain Hawkwatch, Windham Co., VT. October 10th, 2017. Evening Grosbeak (fem/imm) - Putney Mountain Hawkwatch, Windham Co., VT. October 10th, 2017. Cape May Warbler - Northfield Meadows, Franklin Co., MA. October 3rd, 2017. October opened with an incredibly mild first week. Calm, foggy mornings would give way to beautiful warm, sunny autumnal days with winds usually in the southern quarter. 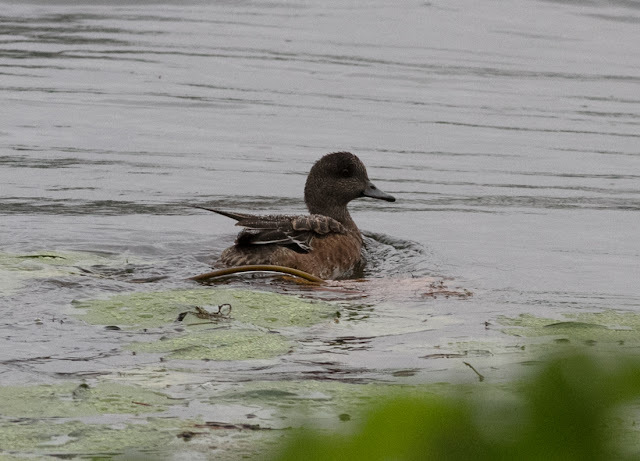 The general Turner's Falls area was pretty quiet, at least for waterfowl, with a pair of Northern Pintail on Oct 6th being the only ducks of note that I could find plus up to 850 Canada Geese at the power canal, though again nothing unusual among them. But the week did provide some nice 'pocket's of late warblers and vireos, and ever increasing numbers of sparrows in the fields around Northfield, Gill and Montague. 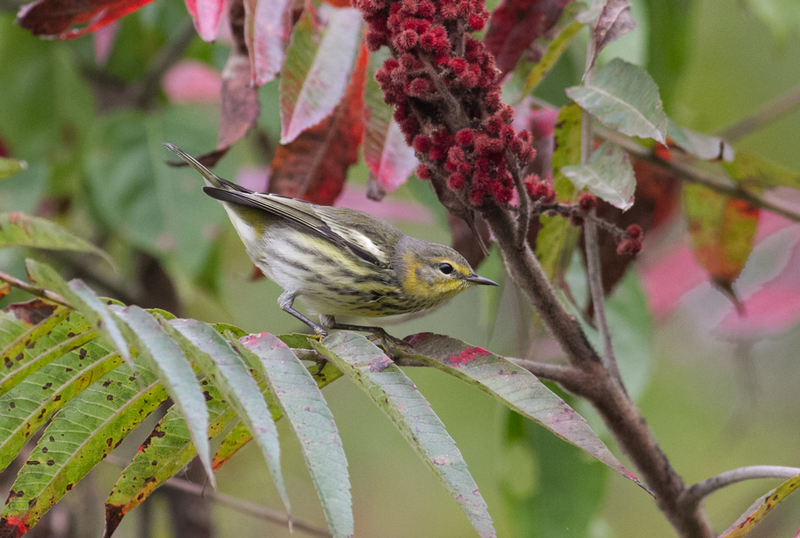 Aside from the usually obvious Yellow-rumped (Myrtle) Warblers I tend to struggle to find warblers locally in fall, but October 3rd stood out as being notably different when I found no less than six Cape May Warblers at Northfield Meadows in mid-morning. 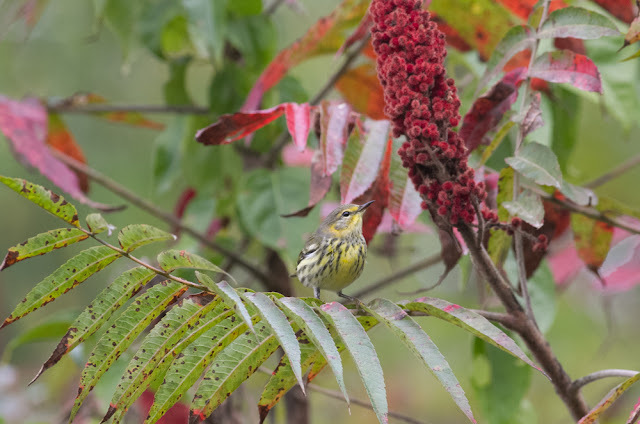 On a personal level, I only very rarely encounter Cape May Warblers in Franklin County (spring or fall) so to have six close together, including at least one adult male was completely unexpected. 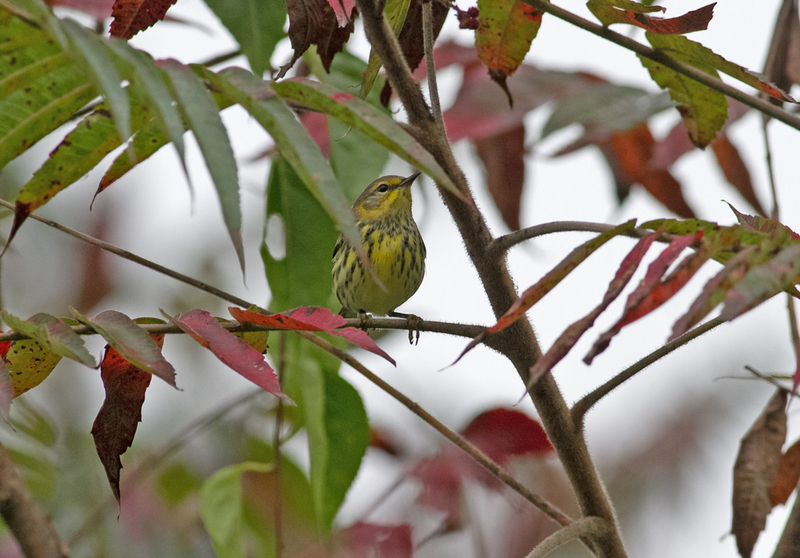 More warblers seen that morning included a Tennessee, a Wilson's, 3 Blackpoll and 22 Yellow-rumped (Myrtle) Warblers with a further 7 Blackpoll and a Black-throated Green feeding in the birches at our home in Northfield around noon. 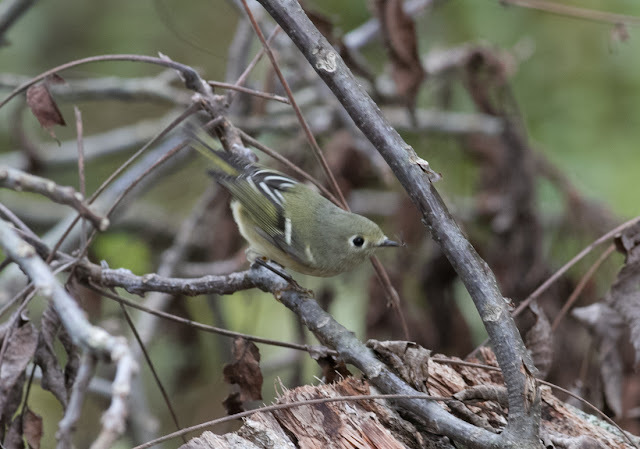 With them came the first major 'pulse' of Ruby-crowned Kinglets with at least 12 in Northfield Meadows. 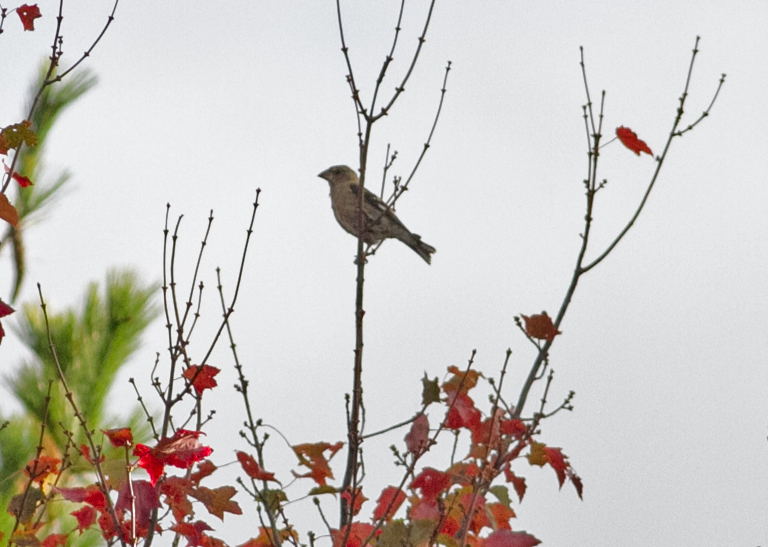 TennesseeWarbler - Northfield Meadows, Franklin Co., MA. October 3rd, 2017. Red-eyed Vireo - Northfield Meadows, Franklin Co., MA. October 3rd, 2017. 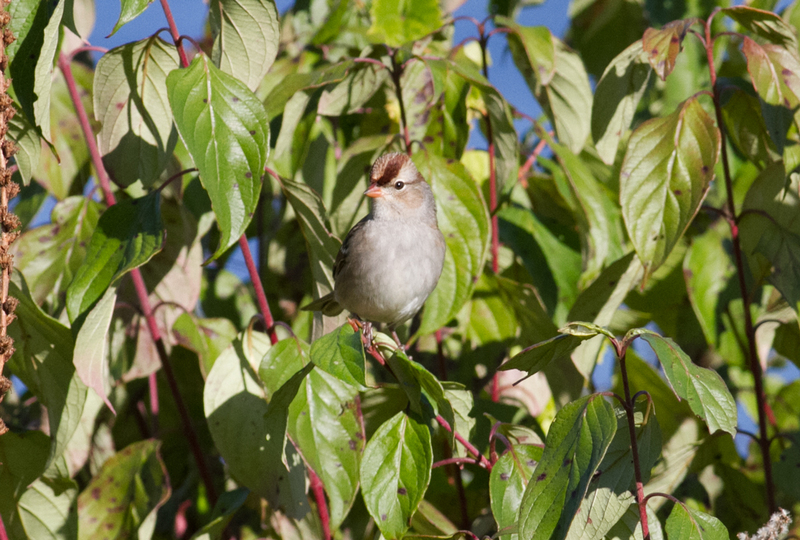 Ruby-crowned Kinglet - Northfield Meadows, Franklin Co., MA. October 3rd, 2017. Rusty Blackbirds - also started to appear with 4 together at Arcadia Meadows, Easthampton on the 2nd and 5 together on Ben Hale Road, Gill on the 5th. Peregrine (adult) - Northfield Meadows, Franklin Co., MA. October 4th, 2017. 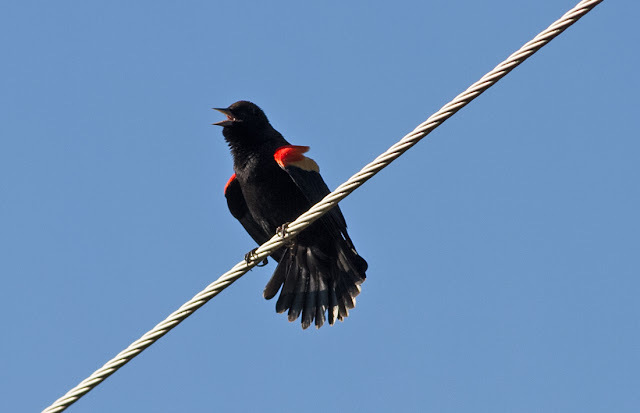 Red-winged Blackbird - male singing and displaying, Ben Hale Road, Gill, Franklin Co., MA. October 5th, 2017. 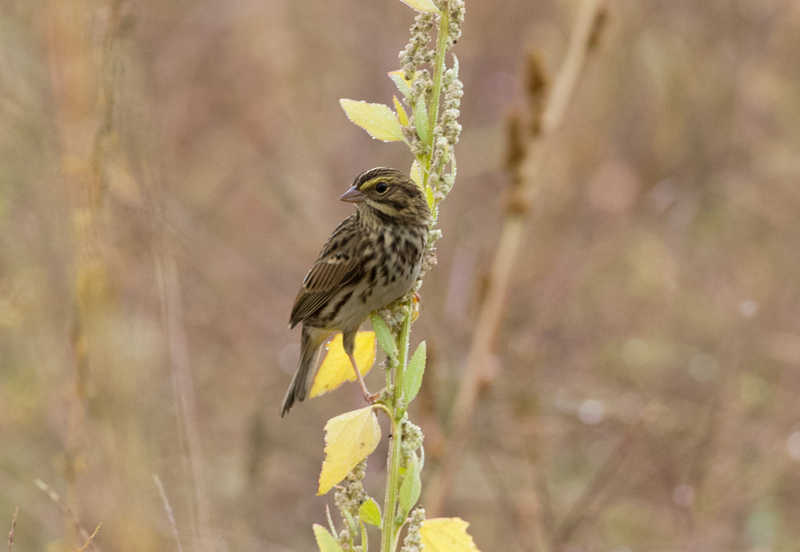 Savannah Sparrow - South Ferry Road, Montague, Franklin Co., MA. October 6th, 2017.